Andrew Brown from the HSReplay.net team got a chance to interview Peter Whalen, Senior Game Designer, and Liv Breeden, Associate Game Designer, on the Hearthstone team. We talked about new cards including what it takes to revisit classic characters with fresh cards and mechanics, the unique storytelling that Hearthstone allows the team to do, and more. You can listen to the full interview in the latest episode of The Happy Hearthstone podcast, available in Apple Podcasts, Spotify, or wherever you listen to podcasts. HSReplay.net: What is this card reveal season like for you as developers and for the whole Hearthstone team? Peter Whalen: It's pretty awesome! Seeing people respond to the cards is a lot of fun. It's really cool getting a lot of first reactions of, "Oh my gosh, I can't believe they did that! That's insane!" or "Hmmm... I hate this card. This card is awful." And just trying to understand what's going into both of those is actually a lot of fun for us. Liv Breeden: I love reveal season! It's probably one of my favorites. It's just letting people see the stuff we've been working on. It's so exciting. Especially for cards that I personally worked on. It's really awesome to see your designs come to the public. 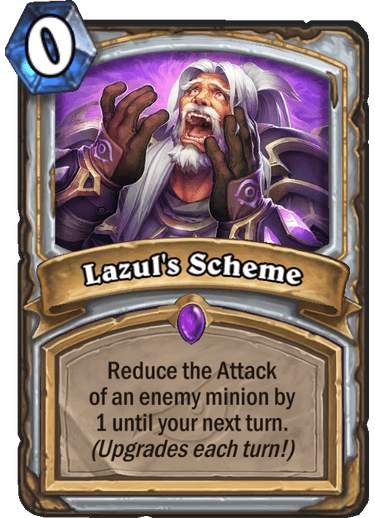 HSReplay.net: I can imagine there's even an element of satisfaction when someone is really upset about a card because you've evoked that emotion. Peter Whalen: It's really cool seeing a lot of the discussion. It's rare that there's a card that everyone just hates. 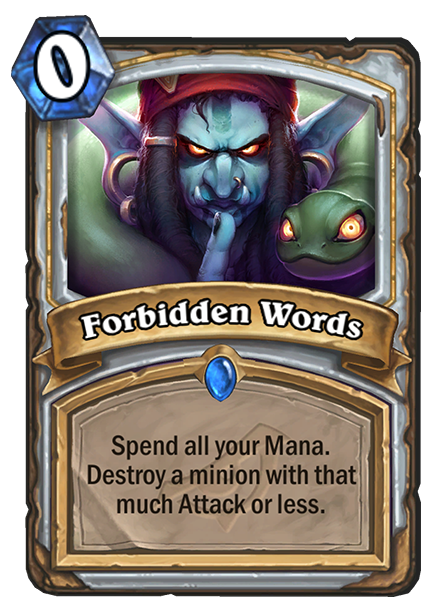 It's much more common that there's a card that a vocal community really hates and a vocal community really likes. And seeing what people think about it and actually seeing that discussion play out is a lot of fun. Sometimes there's things like To My Side! in Kobolds and Catacombs that gets a lot of very negative attention. And you're sitting there knowing that deck is going to be cool and that there's a fun deck behind it. It's interesting to see those reactions and then seeing how it plays out in the future. HSReplay.net: Especially when Spell Hunter becomes a significant part of the meta at that time! Peter Whalen: You know, for example, the best deck in the game for the first week. (everyone laughs) Yeah, it's cool seeing those stories play out. HSReplay.net: I think it's safe to say that the Year of the Dragon really took us by surprise, especially the part of how you're going to be telling this huge overarching storyline over the course of all 3 expansions. What influenced you all to do that? Peter Whalen: This is actually something we've been planning for a long time. 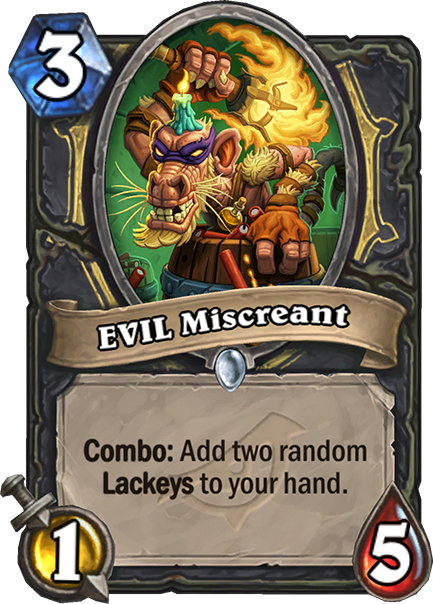 Basically when we pitched Karazhan, we were thinking, "What if we had an overarching narrative where we had a bunch of bad guys from Hearthstone, and they all got together to form a league of evil?" Back when it was a Karazhan timeframe pitch, it was just Dr. Boom and, I think, Rafaam. And we were just going to add 3 more characters at the time that would just be new. But we thought it'd be cooler if we had the opportunity to build them up over time first. And so, slowly as we've added in Madame Lazul in Whispers of the Old Gods and then Hagatha... Now we can get them all together and say, "Who are these characters, and what is their story going to be?" And it ended up being too big for one expansion. So we said, "Let's just do it for the whole year! Let's actually tell the story." Liv Breeden: And I think part of it for me is that we see all these vignettes of the cards and their card art and the voice lines... And people really attach to those. But we've never really had an opportunity to tell something bigger. This is allowing us to take people's favorite cards and make them bigger than just a card. Peter Whalen: I think there are going to be cool opportunities for storytelling here that we’ve never been able to do before. We're setting the scene with this first expansion. We'll be able to dive into it a little bit more as the mission content comes out. And then as the rest of the year goes on, we'll be able to introduce some more characters and also push the story forward to a conclusion at the end of the year. HSReplay.net: It's really exciting! As much as these villains have been developed, we know there has to be another side to things, and we've only seen a little bit. So I'm personally very excited to see how the story unfolds and what we learn. Peter Whalen: (laughs) Rise of Shadows is very much about the villains. It's very focused on Rafaam and bringing the team together. HSReplay.net: With the Blizzard team being so iconic in its storytelling, what do you think is distinctive about Hearthstone’s ability to tell its own stories? Peter Whalen: We get to be silly! We get to push the boundaries of what's possible within the World of Warcraft. We think of Hearthstone as being stories that are told in the tavern. We've got this tavern, a bunch of people playing cards... And they're telling each other stories. It's like fan fiction written in the World of Warcraft universe. If Jaina was going to write fan fiction, these are the stories that maybe she would tell. And so you get to tell these spooky ghost stories of the Witchwood. You get to tell the tales of high adventure in Kobolds and Catacombs. And now, it's a little bit of the superhero stories. It's, "What if we got a bunch of super villains together, and how would the World of Warcraft characters envision super villains getting together and pulling off the greatest caper in Dalaran?" That's the story of Rise of Shadows. So we get to push the boundaries of Warcraft storytelling in ways that you couldn't in a more serious and epic game. Liv Breeden: We can also explore characters who aren't there anymore. So for instance, Uther or Gul'dan, they're... dead. (everyone laughs) But we can still play with them, right? So we can say, "What would these characters do in this scenario that can't happen anymore?" 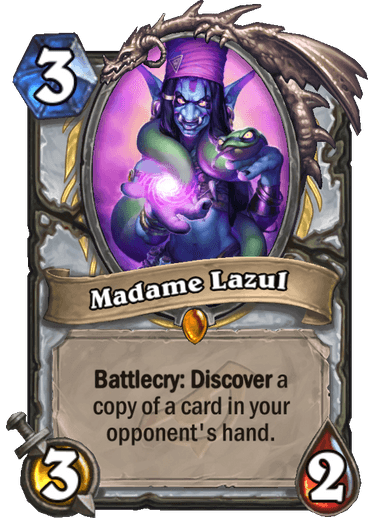 HSReplay.net: With these villains that we've seen, Madame Lazul stands out as someone we don't know a whole lot about other than the teaser videos from Whispers of the Old Gods and Rise of Shadows. Can you tell us more about who she is and why she was chosen? Liv Breeden: She's a fan favorite, and she kind of just fits into that "deception" vibe. Each E.V.I.L. League member is a different type of evil. Like Dr. Boom is an "explosive" evil, Rafaam is the "plotting" evil, and she's the mysterious one. We don't know a whole lot about her, and maybe something will come to light. Peter Whalen: She's sort of a corrupting influence. She's also one of the E.V.I.L. League members who's actually competent. (everyone laughs) Rafaam is highly competent, a brilliant strategist, but maybe not the best leader. Some of the other members of the E.V.I.L. League have... Let's put it, "strong personalities." They also have strong vices, maybe even bordering on obsession. Lazul is highly competent, able to think through things, and able to actually exert her will in a way that's productive, rather than just going with her whims and falling victim to her desires. Peter Whalen: They all absolutely bring something to the team. Lazul brings a little bit more longterm planning. 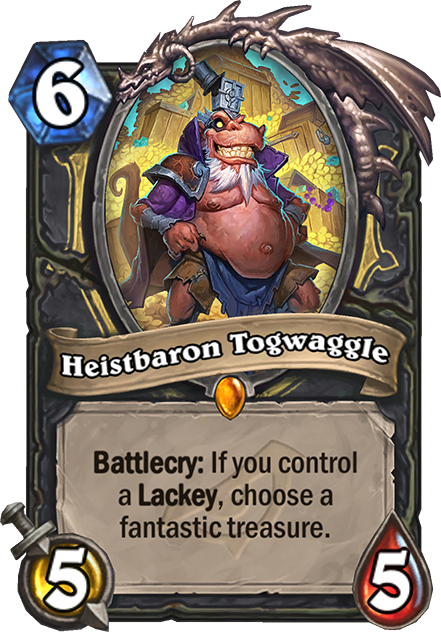 HSreplay.net: On the note of Togwaggle, the biggest thing to me that would be a good challenge to have is reviving these old favorite characters and mechanics. How do you pay homage to these beloved villains and yet make something that’s really fresh for a new card design? Peter Whalen: It’s really about starting from who this character is. 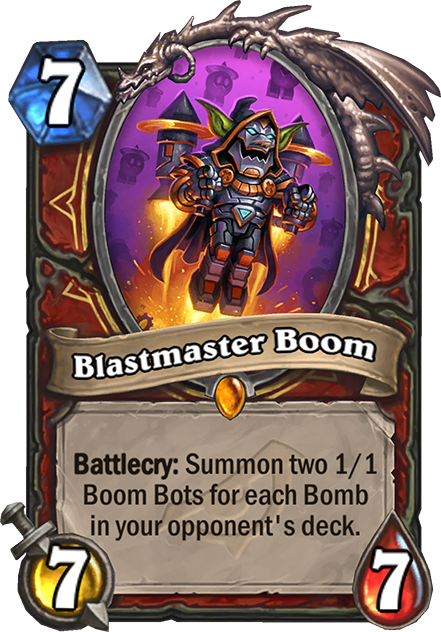 Dr. Boom is all about explosions, so we brought back Boom Bots for him. 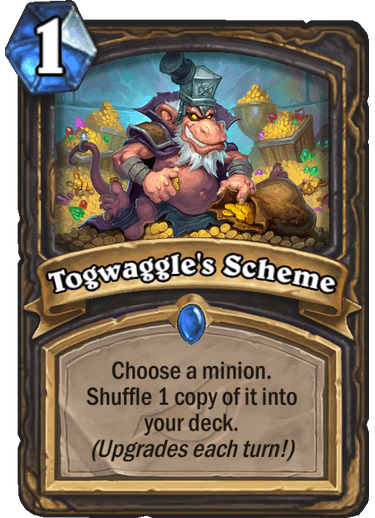 Togwaggle’s all about stealing stuff. He’s incredibly greedy and a little bit shortsighted. So in this case, as long as he’s got a Lackey on board, he can get a fantastic treasure. It was capturing the spirit of the character without necessarily going back to its original mechanic. Liv Breeden: It’s more about, “What is Heistbaron Togwaggle?” What is Kobolds and Catacombs at its core? It’s fantastic loot, right? HSReplay.net: As far as new mechanics are concerned, Twinspell seems like it could be crazy good. How do you handle balancing a keyword like that to make sure it has the right level of impact on the game? Peter Whalen: Carefully. (everyone laughs) We’ve played lots of games with it. We come up with a lot of keywords and a lot of crazy ideas. And we’ll try out tons of them. Just this week, we’re working on a set pretty far in the future, and each of the designers on the initial design team is making their own version of a thing and trying out a bunch of different keywords. And so at the end of this week, we’ll have at least 6 different versions of keywords that we can try out. For Rise of Shadows, we wanted a keyword that captured the defenders of Dalaran. We’ve got all these people that are on the good guys’ side, and they run a magic city. So we tried out a ton of different keywords to capture that. And we wanted one that really captured that flavor of “I’m a spellcaster. I’m a powerful wizard.” And Twinspell was in that space. It’s also just fun to play and can make some pretty cool cards. HSReplay.net: In your testing, did you find there were Twinspell decks, or was it more of a good asset to have in value-oriented decks? Peter Whalen: It’s less about having a Twinspell deck and more that these are cards that work in other archetypes. 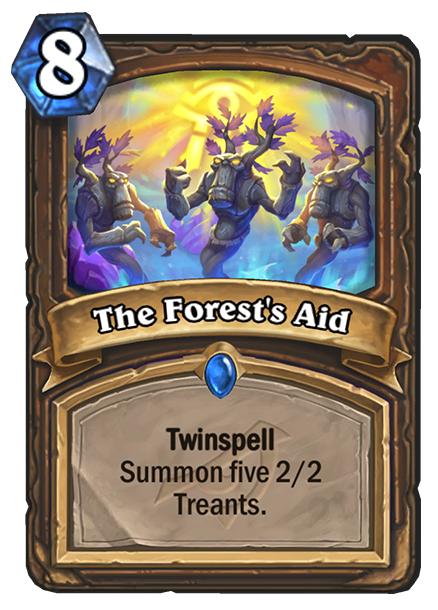 We’ve seen The Forest’s Aid which can go in a deck with Treant strategy. That’s a good late game card. A lot of the Spell Hunter pieces are rotating, but Zul’jin’s still around. So we wanted to have another piece that was good with him. Unleash the Beast is a great card with him. 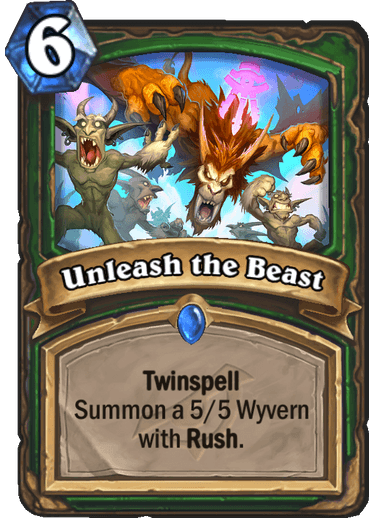 If you cast that with Zul’jin and you’ve cast both pieces already, you get two 5/5 Beasts with Rush and also a copy of the backhalf of the Twinspell card in your hand. Liv Breeden: So if you can find other ways to cast the same spell again, Twinspells are great. Peter Whalen: Twinspells are in Mage, Paladin, Hunter, and Druid. 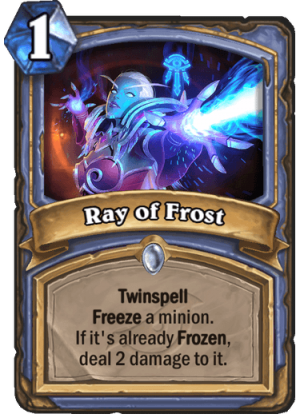 Mage has had decks that care about casting lots of spells. That’s the type of space that you could go into. If there are Twinspell pieces in that deck, you’re casting a ton of spells. Liv Breeden: And we can put Twinspell in Mage whereas Echo in Mage is really scary because of Sorcerer’s Apprentice. Because if you can do shenanigans to get it down to 0, there’s a lot of OTK things that can happen. But with Twinspell, we can make the mana more expensive, we can make it over 2 turns, and it’s got a cap of only 2 times you can cast it. So there’s a lot of cool knobs we can pull with Twinspell. We have a bigger design space with than we had for Echo. HSReplay.net: I’ve got to say that I am a huge fan of bombs in this game, so the recent announcement of Blastmaster Boom and the Bomb mechanic being explored more are really exciting for me. 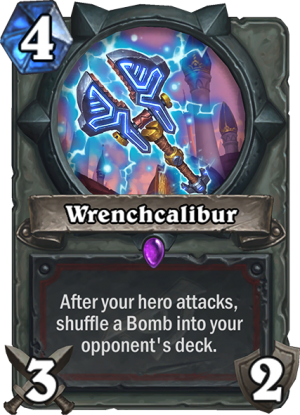 What was it like to take Dr. Boom and go back to his roots with this card? Peter Whalen: We were so happy when we came up with that. 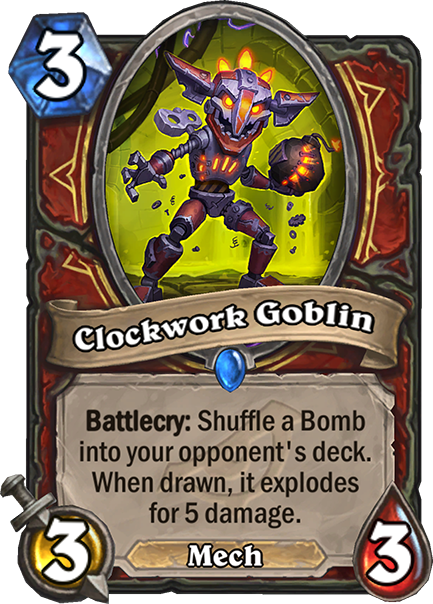 Liv had been working on putting together a Bomb deck that was really a ton of fun to play where you were shuffling a bunch of Bombs into your opponent’s deck, and then you were just waiting and hoping that they would draw them. Sometimes they did, and they would explode for 15 damage. And most of the time, they didn’t. And that’s why it was this fun tension. But we wanted one more key piece for it, and Boom was just the perfect fit. It felt like an explosive combination. Liv Breeden: It is pretty ironic that we made the Boom deck before Blastmaster Boom. HSReplay.net: Well hey, this is Year of the Dragon, so I need to know… What is your favorite Dragon card that’s been printed in Hearthstone and why? Liv Breeden: I like Emeriss. Maybe not in the Dragon Hunter deck, but I love seeing it generated in more Control-y decks. Cause if Warrior gets a hold of Emeriss, and I’ve got 30 armor, I can just play this 10-mana card and hold on. Liv Breeden: And if you ever see him in Discovers, it’s like every time you want to snap pick that. 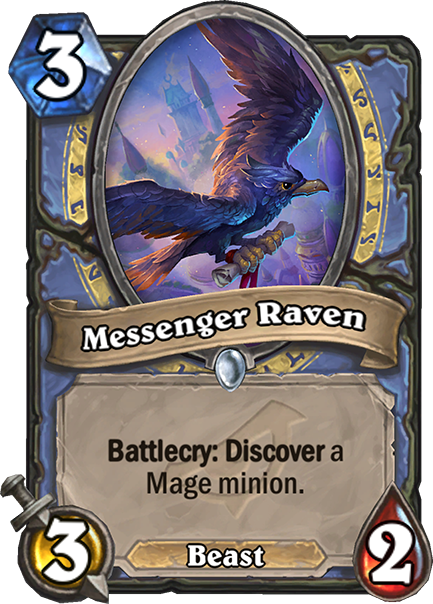 Peter Whalen: With Messenger Raven, you actually get him in Discovers a lot more often because that’s discovering just a Mage minion. Liv Breeden: You play that on curve, and you’re like, “Oooo… I’ve got 7 turns to brood and wait.” (everyone laughs) And then I’ll find a spell to cast because I was not planning on this. 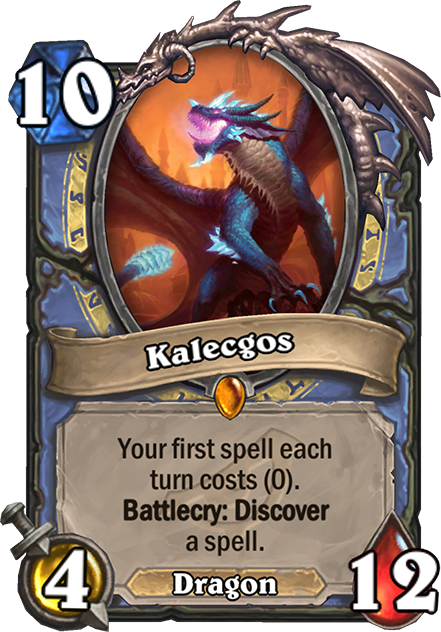 HSReplay.net: How many times in the development cycle did people coin out Kalecgos on turn 9? Liv Breeden: I think it actually happened last week. Peter Whalen: It feels so bad. It’s so sad. It happened more than 0. HSReplay.net: Anything else you want to say about Rise of Shadows? Peter Whalen: I’m just so excited for it. There are so many cool cards coming out over the coming weeks, and then the set’s finally going to launch. It’s a whole new world with quests rotating out and death knights rotating out. Standard is going to be completely different. Liv Breeden: And then the explosive single player we have coming out later than that. I’m super looking forward to that! Peter Whalen: I’m just really excited for the Year of the Dragon! You can find more information about Rise of Shadows here. Don't forget to subscribe to Premium to have access to the full breadth of stats from HSReplay.net, including advanced filters, mulligan guides and much more. Follow us on Twitter and Facebook for daily Hearthstone stats and news. The HSReplay.net team would like to announce their newest feature: the Player Initiative filter. Learn about this how you can use this filter in our Mulligan Guides.